Dremel today unveiled the Idea Builder 3D40, the latest update to its line of 3D printers. The new model will be available in two versions — a standard retail configuration and a bundle designed specifically for education. A "maintenance-free" extruder, according to Dremel. The Idea Builder 3D40 supports Print Builder software on OS X and Windows and will support Android and iOS when Dremel's new apps launch in May, prior to the 3D40's anticipated ship date. It will be available in June, but preorders are available now for the retail edition on Amazon. 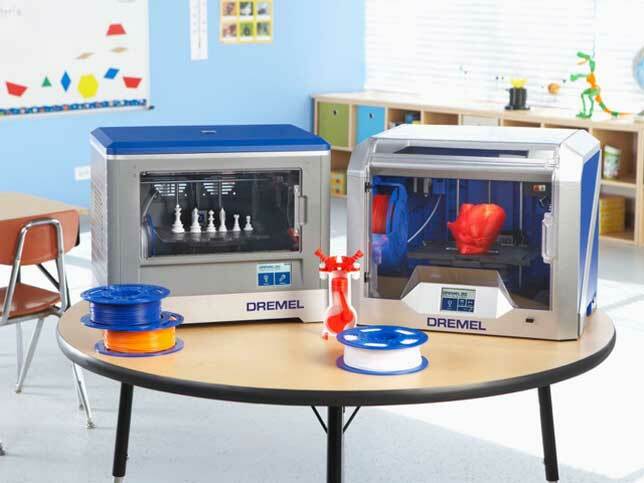 Further details about the EDU edition, including complete specs, can be found on Dremel's site.